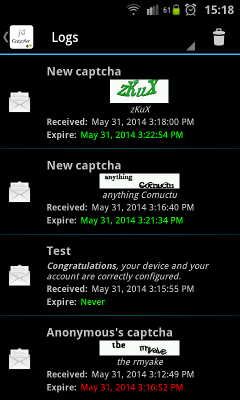 You are using JDownloader or pyLoad to download shared files? You have a mobile phone or a tablet? 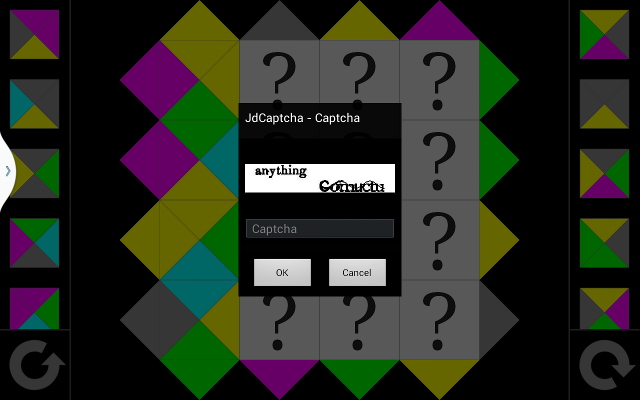 You want to solve unsolved captcha when you're not at home? 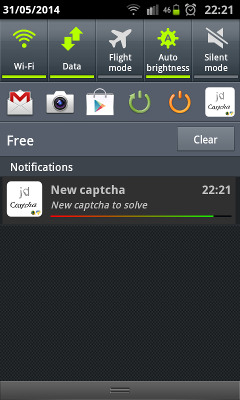 jdCaptcha has been made for you! 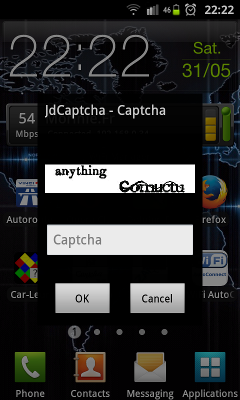 jdCaptcha sends the unsolved captcha to your mobile phone, you solve it and the result is sent back to jDownloader/pyLoad. 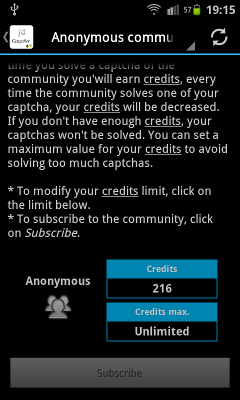 Click here to enable video player. 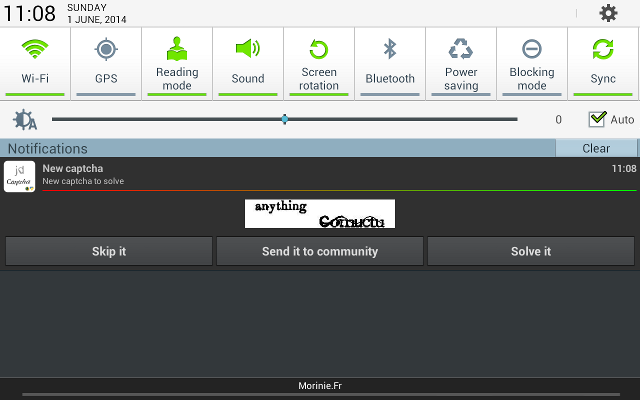 A new plugin/add-on for Google Chrome browser is now available, you can download it in the chrome web store. 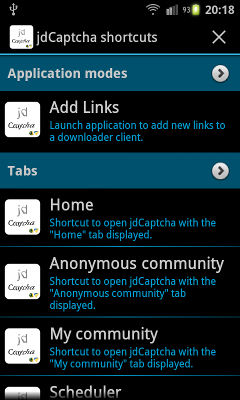 This add-on adds a jdCaptcha button on the toolbar to help you go to some jdCaptcha website pages shortly. 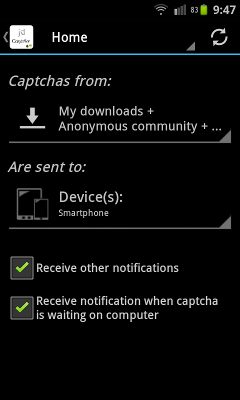 This button also gives you the opportunity to send a selected text (a list of links) to one of your devices (first select text on the visited webpage, click on the jdCaptcha button in the toolbar and then click on the device). The add-on also modifies HTML pages and more specifically the "<pre></pre>" areas to add button(s) on the top right corner of the area to send its content to your device. 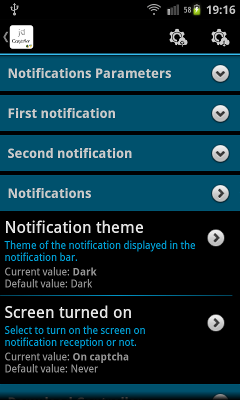 Feel free to report bugs and request for new feature. Conformément à la loi n° 34 du 6 janvier 1978 modifiée par la loi du 6 août 2004 relative à l'informatique, aux fichiers et aux libertés, vous disposez d'un droit d'accès, de modification, de rectification et de suppression pour toute information vous concernant en me contactant par email.